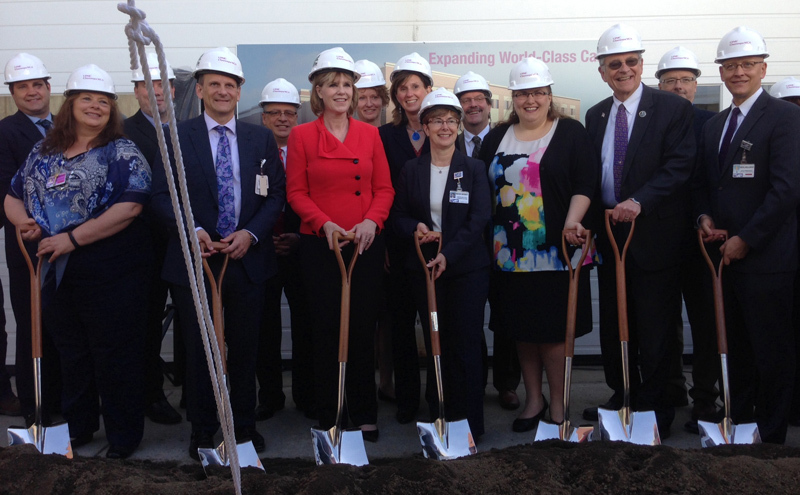 Hospital officials stand with Sen. Catherine Young (center, wearing red) and other guests during a groundbreaking ceremony for an expansion project at UPMC Chautauqua WCA involving the hospital’s maternity and mental health service departments. 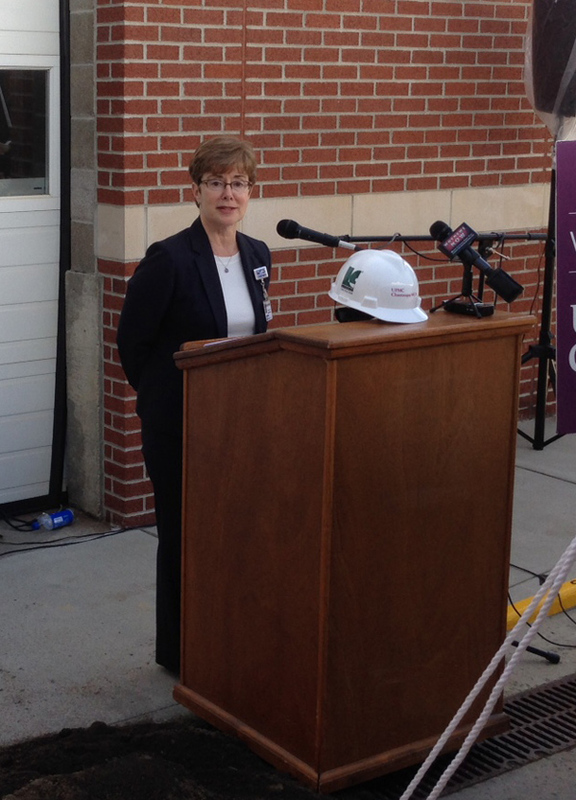 JAMESTOWN – Officials with UPMC Chautauqua WCA held a ground breaking ceremony Friday to begin the process of building a new 18,000-square-foot addition to the hospital on Foote Ave.
UPMC Chautauqua WCA president Betsy Wright. Once completed, the $26.4 million project will provide a new, state-of-the-art maternity department, along with an upgraded mental health services department that will provide psychiatric care for children and adults dealing with mental illness. 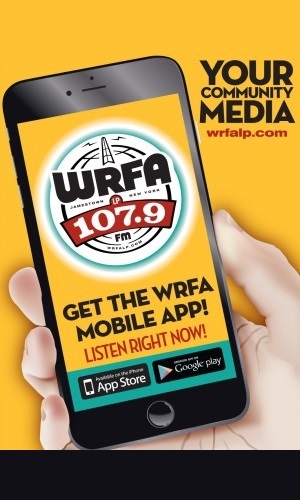 Funding for the project comes from a state grant that was awarded to the hospital in 2016 and which was part of a $1.5 billion commitment by the state to assist hospitals with their capital improvement projects. Clark Patterson Lee handled the project design and LeChase Construction will handle the construction. The project is expected to be completed some time in 2019. Prior to the groundbreaking, WCA President Betsy Wright delivered a recap of the past year’s accomplishments and financial summary at the 22nd Annual Meeting of the Corporations. The annual report, which was entitled “131 Years Strong and Getting Stronger Each Day” – is available for public review at the Hospital’s website.